Eric Weisbrod gets a promotion. CNN has named Eric Weisbrod director of social TV. He most recently worked as a digital producer in CNN’s Washington bureau. 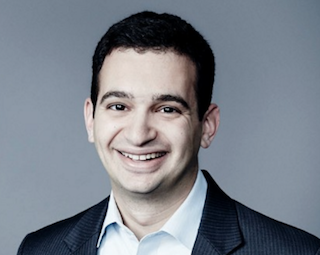 Weisbrod has been with CNN since 2004, when he joined as an intern for Crossfire. “Eric will split his time between DC and New York and lead the newly revamped Social TV team as they tackle 2016 with the objectives of using social and digital to push to key on-air moments and drive millions of eyeballs to TV, work on the second screen experience for viewers and ensure that our great TV content gets maximum reach and engagement across social and digital,” wrote CNN head of social media Samantha Barry, in a memo.